Museums, whether they intend to or not, show what’s worth learning about and honoring. The choices of artwork and historical material featured represent and reflect the energy and culture of the communities they serve. It’s this responsibility that led the Royal Alberta Museum (RAM), which celebrates the natural history and the human heritage of the province, to embark on a multi-year journey to thoughtfully reshape every facet of the museum, from the inside out. And they had plenty of time to think about what that meant: RAM originally opened in 1967 and was then called the Provincial Museum of Alberta. In 2011, construction of a completely new museum was announced and finally began in 2014. Although the building was finished (on budget) in August 2016, it took another two years to move and install the museum’s 2.4 million objects from the original location to its new home in downtown Edmonton. Architectural firm DIALOG, as part of a design build team with Ledcor and Lundholm Associates, brought this new vision of RAM to life. An integrated team of award-winning architects, interior designers, landscape architects and structural, mechanical and electrical engineers were tasked with creating a memorable and identifiable focal point in the downtown Edmonton Arts District, that is equal parts sustainable and functional and harmonious. The $375.5 million downtown facility is an impressive, soaring structure made up of several sections — the natural history hall, the human history hall, the beloved bug gallery from the original museum, an interactive children’s gallery, expansive galleries for internationally touring features, and an area called “The Museum Zone” which you can see the curators at work. The result has doubled the museum’s floor space compared to the existing building, with more than 82,000 sq. ft. of exhibition space. 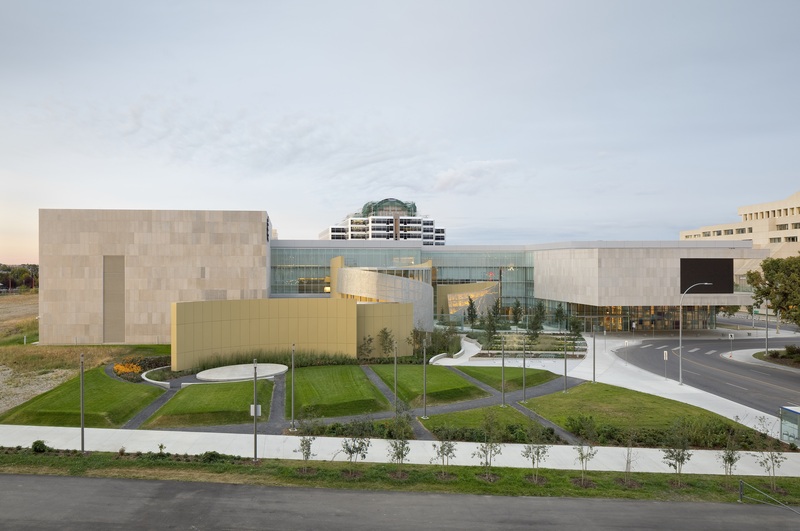 And after a years’ long wait, more than 24,000 people visited the opening of the new Royal Alberta Museum in October 2018. DIALOG carefully considered every decision that went into this massive undertaking, including the environmental impact, as one of the many important goals of this build was to be LEED Gold certified. A goal they met, in part thanks to the low environmental impact in the quarrying and production of Indiana limestone, the stone featured on the striking exterior of the building. 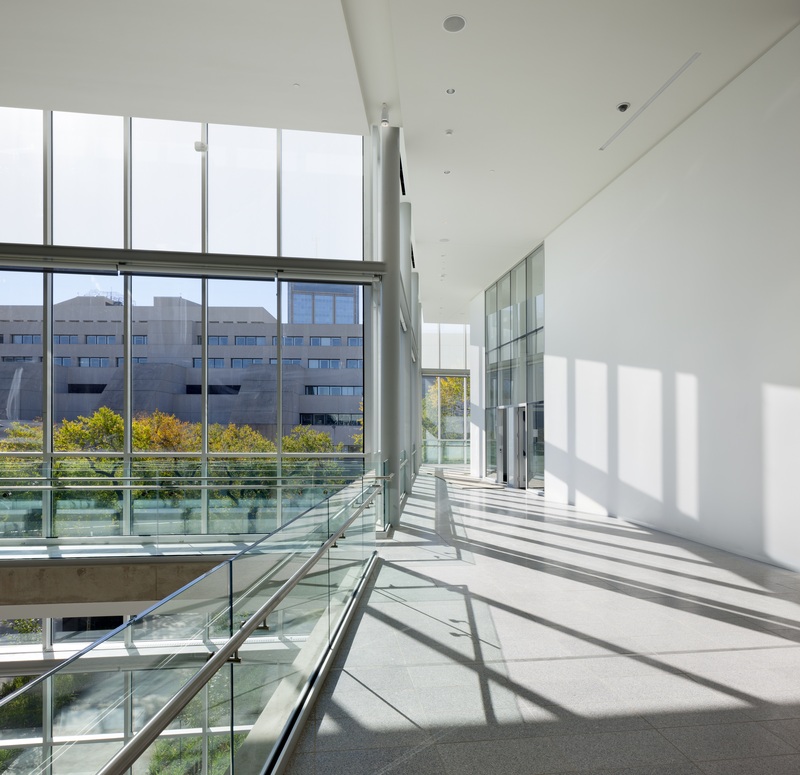 Architects of the LEED Gold certified building met the criteria in part thanks to the low environmental impact in the quarrying and production of Indiana limestone used on the exterior. 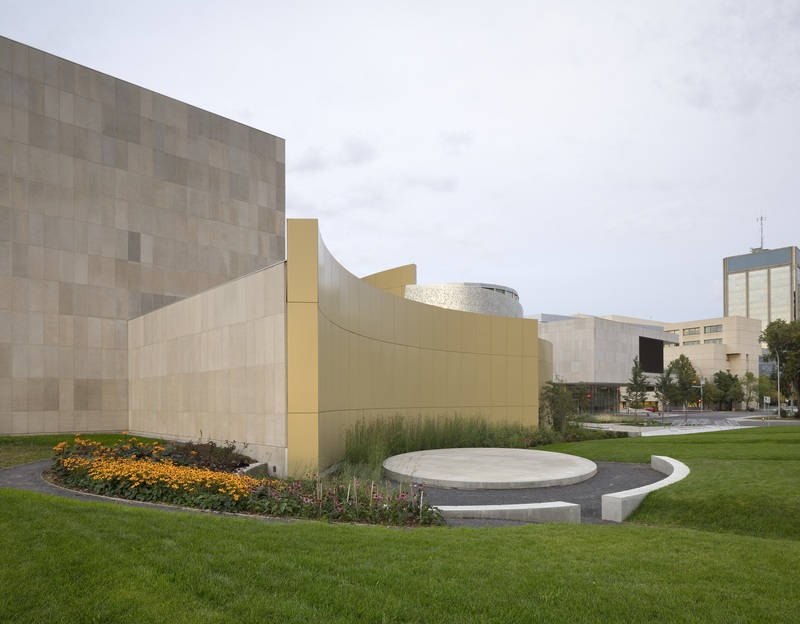 The museum’s exterior was originally planned as precast concrete, but limestone was chosen when estimates showed that it could be provided for the same price, with that environmental benefit, and in the required size. The limestone was provided by Cast Supply Edmonton, Inc in the required 2'x5' panels, each at least 2 inches thick. This choice of stone shares a history with one of the most famous buildings in North America: it was pulled from the same quarry as the limestone featured on the exterior of the Empire State Building in New York City. 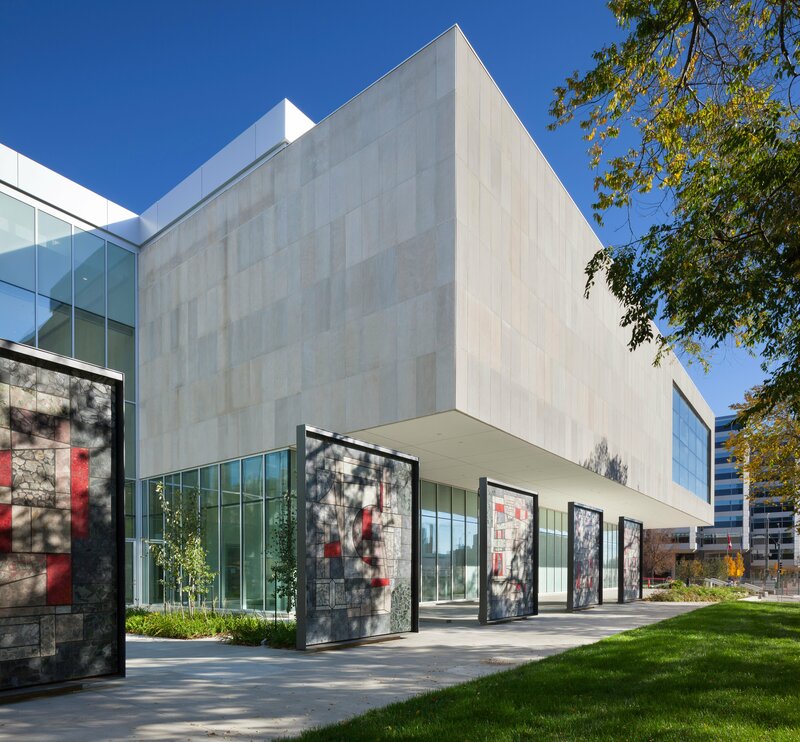 The large Indiana limestone panels are hung on the museum’s exterior walls and laid in mortar. The museum, the largest in western Canada, is designed to specifically reflect and embrace where it now stands—it simply wouldn’t work the same way anywhere else. The site is where two of the province’s main survey grids converge—the British system where the streets align with north/south/east/west, and the French system with the streets running parallel to the nearby North Saskatchewan River. This convergence is reflected in the layout of the museum: the main galleries were designed to align with the French grid, and the feature gallery aligns with the British grid. The layout of the museum is designed to reflect the convergence of French and British streets in Alberta. The main galleries were designed to align with the French grid, and the feature gallery aligns with the British grid. The space it would inhabit wasn’t the only unique feature under consideration: the weather of sunny Edmonton—which can vary from -40 degrees to 95 degrees Fahrenheit throughout the year—played an important role in decision making, too. Indiana limestone is admired for its durability and ease of long-term maintenance. And since RAM was designed for a 100-year service life, these are incredibly important benefits. There’s a perfect, if markedly different, example of Indiana limestones’ durability a five-minute walk from the museum: the famous Fairmont Hotel Macdonald. This seven-story chateau style hotel was completed in 1915 and it too has an Indiana limestone exterior, albeit one in a very different style. Indiana limestone is admired for its durability and ease of long-term maintenance. “We often say that cast material looks best the first day it’s installed and natural stone looks great when it’s first installed but it gets better every year after” added Pick. 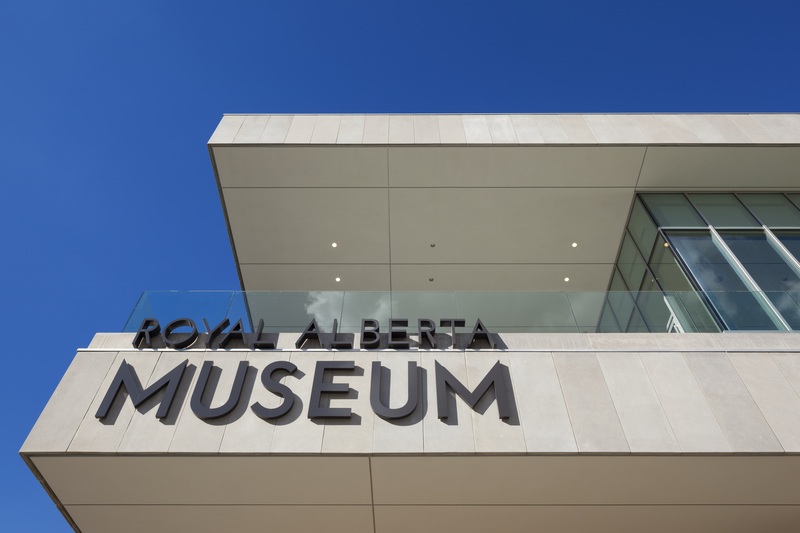 As the goal of the new Royal Alberta Museum was to thoughtfully preserve and share the story of Alberta and honor its past in a new way, it’s reassuring to know that it’s built to inspire, explore, and connect with generations to come. Add this legendary limestone to your library. Order a sample today.